The stiffness and pain came on very suddenly. I actually thought I may have strained my back or hip. It was very painful. After a myriad of tests and months of discomfort, I was diagnosed with Polymyalgia Rheumatica - a debilitating and painful condition. Doctors prescribed a barrage of anti-inflammatory drugs including Cortisone which eased the stiffness and pain temporarily. I’m always on the go and I was determined this wasn’t going to stop me. But I must admit there were times that I would go home crying. The doctors tried everything but unfortunately the inflammation was not coming down and I put on 20 kilos as a result of the medications. 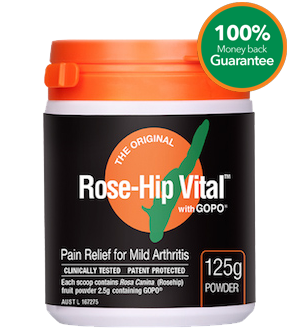 Then a friend recommended Rose-Hip Vital and my rheumatologist agreed I should try it. It took about three months but the pain and stiffness subsided slowly over time. My doctors were actually amazed at the clinical results. My inflammation levels have dropped remarkably and I’m now off cortisone. The stiffness is now only very mild and I even played tennis the other day. My rheumatologist plans to wean me off the other medications but was quite adamant that I should keep doing whatever I was doing. I certainly won’t be stopping Rose-Hip Vital. I am 51 years old and am a nurse for Aged Care. Since 2006, I have been diagnosed with Mild Degenerative Arthritis, Polymyalgia Rheumatica and Elevated Rheumatoid Factor. I was in so much pain, it would feel like my left leg was a piece of wood when I walk. I could barely walk up and down stairs at the train station. At night, it was a nightmare every night. My whole body was in so much pain, I could not sleep. It felt like I was going out of my skin and it is difficult to even explain the pain I had. I continued to work and did not take any sick leave. My doctor put me on medications pain killers, Mobic and Prednisone (which made me put on weight) and the doctor also said it will take up to two years to get better. I was tired of going back to the Doctor for follow ups. My pain was not getting better, but I was getting fat. I said to myself ‘Enough is enough’. I stopped all the medications and I heard about the Rose-Hip Vital from a Health Store. When I passed by the Health Store, I said to myself that I will try something that is natural and without side effects. I bought one bottle and I felt my pain was slowly subsiding. When I finished the bottle of Rose-Hip Vital, my pain was almost gone. 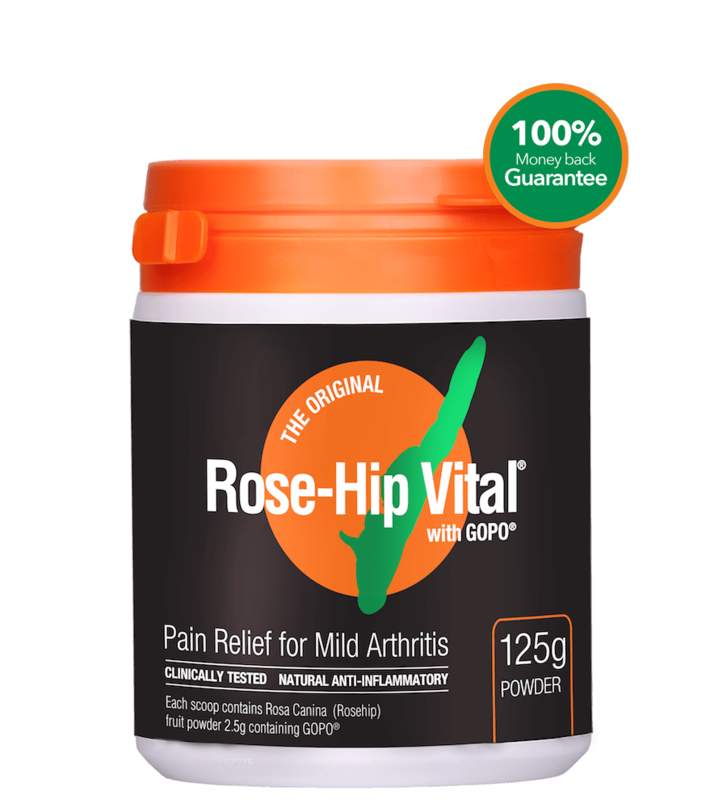 I continued taking Rose-Hip Vital and started to order the Rose-Hip Vital direct from them. I went to my Doctor and asked for a rheumatoid factor blood test and my blood test show no Rheumatoid Factor after about 8 weeks. What a relief. All the pain was gone and I could walk like a normal person. I even lost weight and back to my 55 kilos. Since my diagnosis, I have been taking Rose-Hip Vital every morning. I am not in the habit of recommending or knocking products I have contact with. If I am unhappy, I just move on and forget it. 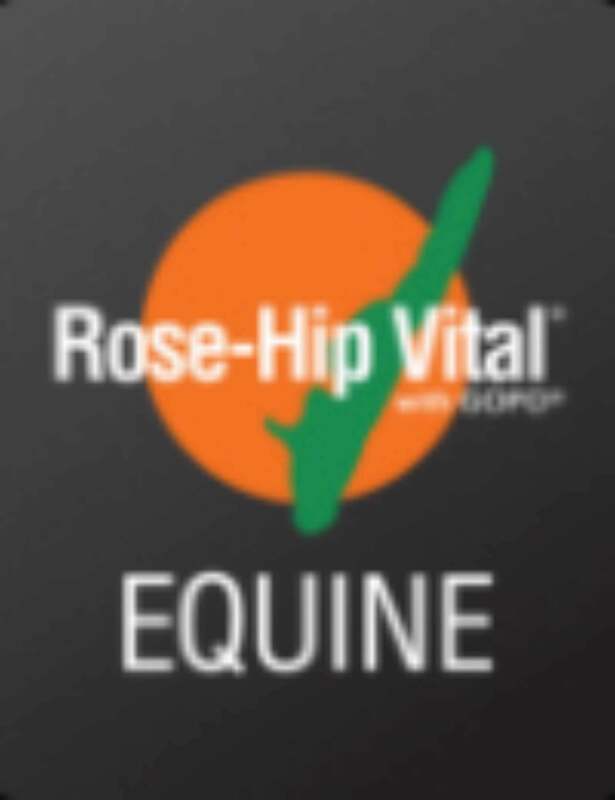 In the case of Rose-Hip Vital, I felt I had to comment on the product. In late 2007 after shoulder surgery, I became ill and in extreme pain and for some time I could not be diagnosed. When I eventually diagnosed, it became clear I was suffering with severe Polymyalgia Rheumatica. I was on a very strict regime of strong medication and exercise. For two years this was sufficient to keep the pain away, but I had numerous side effects. Predominately, I lost my sleep pattern and rarely got more than an hour or two of sleep a night. I also suffered drastic loss of weight, up to seven kilos a week as I was unable to eat and had to force myself to eat. However I was able to lead a reasonable life. I tried numerous combinations of vitamin supplements etc and expensive homeopathic remedies. I was getting desperate as I had now lost just over twenty five kilos in weight and could barely muster up the energy to drive my wife down to the shops etc. My wife has been taking your product from some years for her dietary problems associated with Coeliac disease and feels it has been good for her so I decided to try it myself. Frankly, I did not expect any result, but after only two weeks of using it, I have a great appetite for the first time in two years. I now have heaps of energy and feel the best I have in the last two years. I would have no hesitation in recommending your product to anyone with problems such as mine which while it is far from rare, it is uncommon, especially as severe as mine.